BenML’s #CBR5 Review #9-10: World War Z by Max Brooks; While Mortals Sleep by Kurt Vonnegut, Jr. 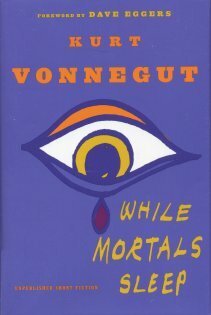 While Mortals Sleep, by Kurt Vonnegut, Jr. I stuck them both in 4 stars, but I’d lean closer to 3 for World War Z. They were both great reads, and I recommend them highly. Click above to read the full reviews. This entry was posted in 4 stars – a great book and tagged CBR5, Kurt Vonnegut Jr., Max Brooks. Bookmark the permalink.